• Not only have new hotels been opening, but some of them fall into categories that didn’t even exist before. • Thousands of new condos and villas, some of which are affiliated with resorts and almost all of which feature concierge service, have debuted as well. • The quantity, quality, and variety of ecotourism activities beyond the hotel gates have increased dramatically. These include not just the usual suspects (hiking, snorkeling, birding, nature walks), but also leave-no-footprint sports like stand-up paddleboarding. • Because both local entrepreneurs and travelers themselves are increasingly drawn to these ecotourism pursuits, Caribbean governments and NGOs are making enormous progress restoring heritage sites, reefs, forests, and mangrove wetlands, as well as bird, fish, and turtle populations. • Caribbean governments have been dramatically improving their transportation infrastructure—expanding and modernizing airports, roads and highways, and maritime facilities. • They’re encouraging more efficient uses of energy while also developing alternative energy sources like geothermal, solar, and wind energy. Some of these efforts are already helping Caribbean hotels, whose energy bills have traditionally been onerous. • National governments, local governments, NGOs, hoteliers, and restaurants are spurring a reinvigoration of agriculture in the islands. This is good for preserving landscapes, increasing income for rural populations, improving food quality for the hospitality industry, and keeping shipping costs down. 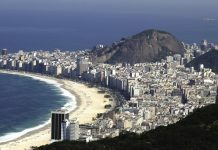 • The authorities want to encourage non-agricultural industries, too, from manufacturing to banking to high-tech. Of course, much of this success depends upon airlift, and that’s where Delta comes in. 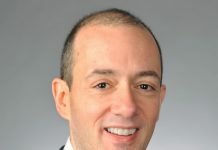 Over the past few years the airline has created new routes to the Caribbean, and it continues to expand the connections between North America and the islands. These are exciting times, and Delta is playing an important role in them. This island’s 365 lovely beaches (that’s not counting the beaches on sister island Barbuda) help explain why Antigua has such fine resorts, but there are also countless coves that serve as protected harbors, so Antigua has long attracted sailors. Today, Nelson’s Dockyard, one of the most important historic sites in the Americas, attracts yachties and landlubbers alike to its museum, shops, pubs and more. Rosewood Jumby Bay Resort occupies a private island that’s a 10-minute boat ride from Antigua proper (Jumby’s shuttle runs until midnight). Its suites and villas have outdoor bathtubs, the beaches are beauties (an open-air spa sits next to one of them), there’s enough privacy to suit celebrities, and a nature refuge protects turtles, birds and sheep. You normally see treetops from below, but Antigua Rainforest Canopy Tour’s ziplines offer a bird’s-eye view of how foliage looks to the avian residents. Best tour: the 2.5-hour Full Canopy Tour, which gives visitors a chance to understand the forest. The Dockyard Museum in the old officers’ quarters at Nelson’s Dockyard reveals how the Royal Navy lived and worked 250 years ago, but it also explores the lives of slaves, who formed two-thirds of the dockyard’s workers. For half- or full-day cruises, skippered or bareboat charters, or sunset and snorkeling cruises on ship-shape sloops with excellent crews, contact On Deck. You might even pass Eric Clapton’s lonely, hilltop villa. Pink Sand Beach on Antigua’s sister island, Barbuda, is an 8-mile, undeveloped beach where you might take a walk without seeing a soul. Thank the crushed coral in the sand for this beach’s baby-pink hue. It’s easy to see why Aruba is so popular: It almost never rains, its beaches are alabaster beauties, the locals are friendly, the shopping and dining are world-class, and there’s plenty of nature both above and below the water line. Moreover, when you take a public bus to Oranjestad, you get safe, courteous service. The Westin Resort & Casino on Palm Beach has more ocean-facing rooms than any other resort on the beach—more than 200. Its nine(!) restaurants and bars include romantic, torch-lit beach Azull, and its spa and fitness center help guests atone. There’s a full watersports program, and the Westin Kids Club offers Parents Night Off on Thursdays. In the 70 years since the Nazi supply ship Antilla sank near Aruba’s west coast, a zillion fish have converted the vessel into a maritime condo. Today pleasure boats offer snorkeling trips to the wreck, which rests in conveniently shallow waters. Why wait all year for Carnival? Aruba celebrates its Bon Bini Festival every Tuesday night in Oranjestad with live music, extravagant costumes, and authentic Aruban food. Take a walk on the wild side: Arikok National Park has 29 miles of trails graded easy, moderate and difficult. 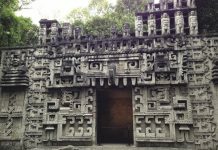 The 5-hour hike, in particular, includes dramatic scenery, birds, and pre-Columbian cave paintings. Conchi is a shell-shaped basin surrounded by lava boulders that get slammed by surf. Sometimes you see daredevils climbing the rocks, but everyone else takes a non-threatening dip in Conchi’s calm waters. Although Grand Exuma is the “Big Kahuna” of these 350 or so islands and cays stretching southeastward toward the Turks and Caicos, even this island’s largest city, Georgetown, has a population that barely reaches four figures. Exuma and its little sisters are all about sun, sand, sea, and the many, many fish that play house in this neighborhood. Club Peace and Plenty in Georgetown has just 32 rooms and suites, but it also has two bars and a Bahamian-style restaurant. Guests often hang out at the pool or on the beach at nearby Stocking Island (the Club ferries guests over), go snorkeling or diving, rent a sailboat or motorboat, go flats- or deep-sea fishing, or dance under the stars, for Club Peace is where Georgetown parties. Starfish offers guided kayaking tours of nearby Moriah Harbour Cay National Park, with its deserted beaches, mangrove creeks, seagrass beds, and thriving populations of sea birds, raptors and fish. Visit the Rolle Town Tombs, whose simplicity evokes island life in the 1700s. Best known of the markers is the twin tomb of Mrs. Alexander McKay, who died along with her newborn child. For many visitors, fishing is the thing here, but Exuma is also ideal for kiteboarding. Exuma Kitesurfing offers a plethora of rental and instructional options, including a just-the-right-length 3-day package. Despite (or because) there’s so little development, the north part of the island is fascinating. Visitors pass through tiny villages where fishermen still build their boats by hand, and they wade through flats where the fish are plainly visible. 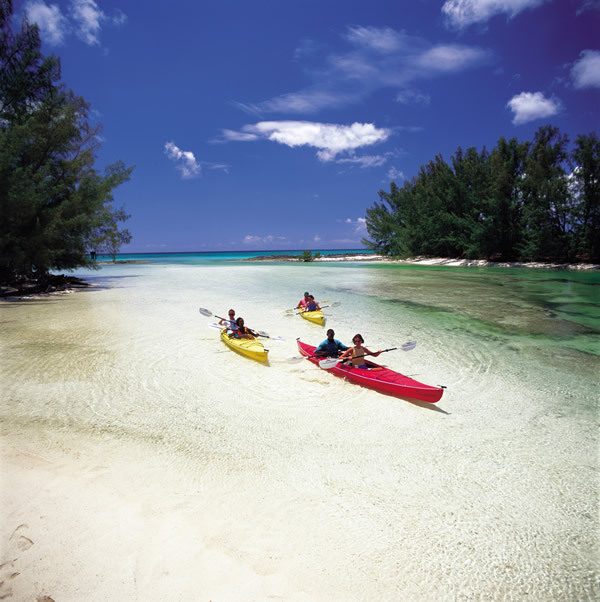 Kayaking on Grand Bahama Island. This town at the southeast bend of serpent-shaped Grand Bahama Island was created after World War II to do just what its name says, so although it lacks architectural pedigree, it did become one of the region’s top duty-free ports. Freeport flows into Lucaya, where most of the shopping is today, and although many stores sell foreign-made goods, the straw market in Port Lucaya Marketplace is the real deal, and the live music is a pure pleasure. 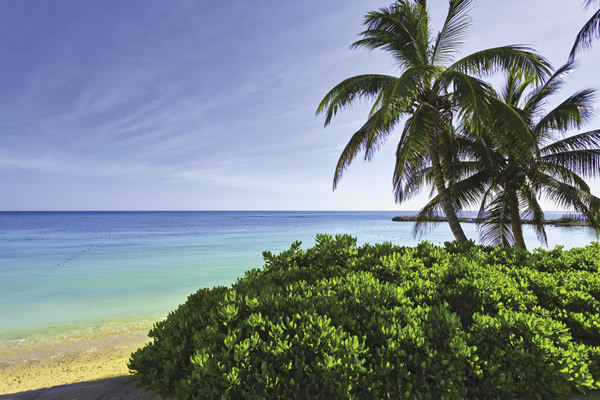 Grand Lucayan Beach & Golf Resort hugs a splendid beach and has enough swimming pools for the Olympics, a Robert Trent Jones Jr. golf course, tennis, myriad land- and water-based activities, an extraordinarily comprehensive spa/beauty/fitness center, live music and a casino. Even claustrophobes are drawn to the caves in Lucayan National Park, two of which are accessible to tourists. Another surprise at this park in the center of Grand Bahama Island is that so many ecosystems, from desert to mangrove wetlands, can exist side-by-side, but they do, for which the resident birds and other critters are grateful. P.S. Visitors can bring lunch for a picnic at aptly named Gold Rock Beach. When the locals and tourists take turns singing karaoke at Count Basie Square in Port Lucaya Marketplace, even this plague of an art form is fun. Still, the best cultural encounters occur when there’s a local church choir or goombay (Bahamian calypso) band. Bonefishing in The Bahamas is not just for pros; Phil & Mel’s Bonefishing Guide Service offers instruction to novices who want to try fishing for spirited gamefish who, curiously, live in shallow water. You don’t expect such a green environment in the low-lying Bahamas, but Garden of the Groves’ wetlands and waterfalls, trees and vines, and tropical flowers are so lush that the U.S. Wildlife Federation has certified it as a bird and butterfly habitat. Its restaurant offers a romantic setting for weddings, too. The capital of The Bahamas, one of the great cruise ship and duty-free ports of the region, covers the eastern half of New Providence Island, where it connects with Paradise Island, home to Atlantis Resort & Casino and the One&Only Beach Club. However, travelers needn’t flee to Paradise Island; Nassau itself offers plenty to love: restaurants, lounges, casinos, shops, historic buildings, and beaches with a lively mix of Americans and locals. While the One&Only Beach Club and the future Baha Mar get more ink, the Graycliff Hotel is unlike any other hotel. Occupying a former pirate’s hillside mansion (c. 1750), Graycliff is like an art/antiques museum (where you can actually touch things) with some of North America’s best cuisine and wines, a tiled pool in a lush garden, and palate-expanding chocolate and cigar shops. Bahamas Outdoors leads half- and full-day kayaking, birding, and bike tours to mangrove ecosystems and woods that most people don’t even know exist on mostly urban New Providence Island. Almost as old as the refuge that’s now Graycliff Manor, the white-and-burgundy Buena Vista Estate is headquarters for John Watling’s rums. The historic building’s prints and artifacts give visitors a clear view of rum’s place in Bahamian history, and (surprise!) there’s an excellent tavern for folks who want to, well, learn a little more. Golf Digest has rated the Ocean Club Golf Course one of the top 10 layouts in the Caribbean and North America. For the icing on the cake, this 7,100-yard seaside course was designed by Tom Weiskopf and is managed by Troon Golf, which also runs a world-class golf academy here. Visitors can go beyond the shops and clubs to experience Bahamian life, even in Nassau, thanks to Tru Bahamian Food Tours. For three hours they walk around and taste local specialties, and between bites they gain entertaining insights into the town’s history, culture and architecture. FUN FACT: The national bird is the pink flamingo, the fish is the blue marlin, and the flower, the yellow elder. Notice any pattern? Sub-tropical Bermuda offers time-travel at its best: It has historic forts, a town founded in 1612 (St. George), afternoon teas, a culture of courtesy, and weekend athletes in “veddy” proper golf and tennis attire. But that doesn’t mean Bermuda is stuffy. Riding around on a moped is a hoot, as are parasailing, deep-sea fishing, shopping, and other heroic pastimes. In 2013 Rosewood Tucker’s Point landed on Condé Nast Traveler’s Gold List — no surprise, because it’s always winning awards. A residential/resort community, Tucker’s Point includes villas and a 100-unit hotel with dramatic views of the sea, the longest private pink-sand beach in Bermuda, a 12,000-square-foot spa, fine dining, and a highly rated 18-hole golf course. Paget Marsh is an inland reserve with orange mangroves, lush flora, and a birder’s bucket list of feathered flyers. The National Museum of Bermuda displays 500 years of British/Bermudan life in a 10-acre citadel, including the historic Commissioner’s House. The museum includes cannons, shipwreck artifacts, and maritime art, plus splendid vistas and even dolphin encounters. Bermuda is known for golf and tennis, but it also has an 18-mile rails-to-trails route for hiking, bicycling and horseback riding. The trail leads past travel-poster bays and vegetation that’s catnip to birds. The white-and-blue Rosedon Hotel just outside Hamilton, built in 1906 as a private home, was the first Bermuda house lit by gas. Each room’s traditional decor features a different wood—pine, oak, cherry, mahogany, redwood—and it also offers a heated pool and an honor bar. 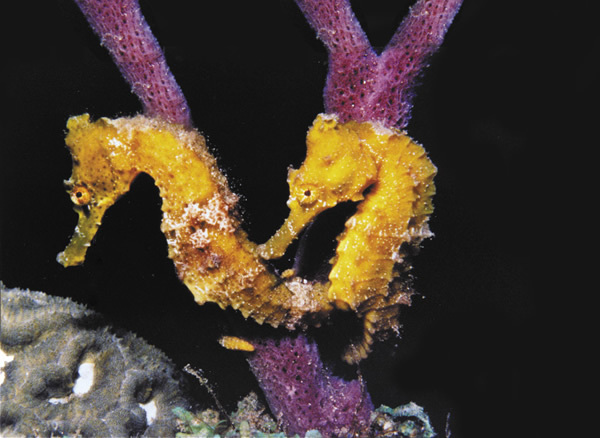 Although typecast as a diver’s paradise, Bonaire isn’t just about diving. The entry-level snorkeling is superb, too, and there’s world-class windsurfing and tennis, kayaking and kiteboarding, hiking and biking, and good fishing. Like Aruba, this Dutch island’s position south of the hurricane belt yields seemingly endless stretches of sunny days. Unlike Aruba, it’s quieter and less built up; you visit Bonaire for its coral, not its casinos. Harbour Village Beach Club, a member of Small Luxury Hotels of the World, has one of Bonaire’s best beaches, replete with hammocks and little boats. Rooms, suites, and villas have restful tan-and-white furnishings, the tennis center has four Laykold courts, and the spa, fitness center, and Kids Great Adventures facilities are tops. Novice divers and even snorkelers can enjoy shallow Bari Reef, home to 400 species of fish (the most fish diversity in the Caribbean). Especially unique: the undulating seabed “grasses” that are, in fact, shy garden eels. Washington Slagbaai National Park reveals Bonaire’s history, as do its exhibits on the original Indian residents. Other displays explore Bonaire’s geology (it’s really an above-water reef), flora and fauna. In November, Bonaire became the first Caribbean island to offer “divecaching”—underwater geocaching. The Diving for Bonaire Treasure Challenge offers prizes (e.g. hotel stays and airline tickets) for finding hidden dive caches. The contest ends in May, after which divecaching may very well become a permanent fixture in Bonaire. Ingridients [SIC], the new restaurant at Buddy Dive Resort, offers Mediterranean cuisine, but it also serves local recipes using local ingredients. Prices are reasonable, and the Bonairean salt-crusted fish is a keeper. European sailors ate all the caimans in the Caymans, but the most prosperous of this three-island British Overseas Territory still has enough fish to delight any diver, immense turtles, and Stingray City’s world-famous stingrays. World-class resorts line Grand Cayman Island’s Seven Mile Beach, and their guests, the second homeowners, and their offshore banking industry support a number of excellent restaurants. The Ritz-Carlton, Grand Cayman, on Seven Mile Beach, has rooms and suites featuring balconies and pastel furnishings; menus designed by chef Eric Ripert; a golf course by Greg Norman; a tennis program by Nick Bollettieri; and ecotours by Jean-Michel Cousteau—well, you get the picture. Moreover, the fitness and watersports facilities, children’s programs and spa are top-drawer. Beyond the Cayman Islands’ stingrays and dive sites, these isles are also home to myriad butterflies, orchids, dragonflies, parrots and other birds, as well as endemic plants. How does a population of 55,000 produce so many fine artists? No idea, but what is clear is that the National Gallery of the Cayman Islands offers both beauty and insight into local life. Not only does the Waverunner Snorkel Safari supply each participant with snorkeling gear, but also with a waverunner. Tours start with a quick introduction to jet-skiing (rocketing across the water isn’t rocket science), then it’s off to visit great snorkeling sites like the wreck of the Cali and Cheeseburger Reef. The diving and snorkeling are more famous, but the Queen Elizabeth II Botanic Park, with its 60 acres of landscaped and natural flora, is a must-visit. It includes an early Cayman settler’s home and garden, a traditional sand garden, a Floral Colour Garden, water plants and birds, a woodland trail, and butterflies. Now the most popular destination in the Caribbean, the Dominican Republic hosts more than 20 percent of the entire region’s arrivals. 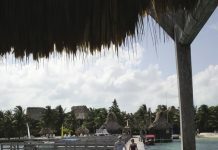 Moreover, the majority of its tourists visit Punta Cana, where the beaches are snow-white and sparkling new resorts, condos, and villas continue to open. Also, Punta Cana is not only a top golf destination, but its new ecotourism activities have enriched the recreation mix. As if it were not already family-friendly, the Bahia Principe Bavaro Resort has added a Fun Park, an Adventure Park, and a Club Bahia Scouts House to its amenities for kids. The Fun Park includes bumper cars and a skating rink, while the Scouts House has interactive video games. Puntacana Ecotours’ many offerings include an all-terrain Segway ride around the resort area and the Indigenous Eyes Ecological Park and Reserve, with its wetlands, birds, and dinosaur-sized iguanas. Private tours are available, too. Where does the carne de res (beef) in Dominican stews come from? Clients can find out by joining a horseback cattle drive, D.R.-style. It includes a chance to be un vaquero for a day, enjoy an authentic Dominican lunch, and then cool off with a swim. The golf is great, but so is the sportfishing, and resort concierges can arrange private charter boats for as little as $1,000. Why so relatively inexpensive? Because the fish start biting as close as three miles from shore, so anglers spend less money on fuel (and more time actually fishing). Punta Cana’s kiteboarding school offers excellent rentals and classes. Even if you’re not participating, this activity is exciting to watch. 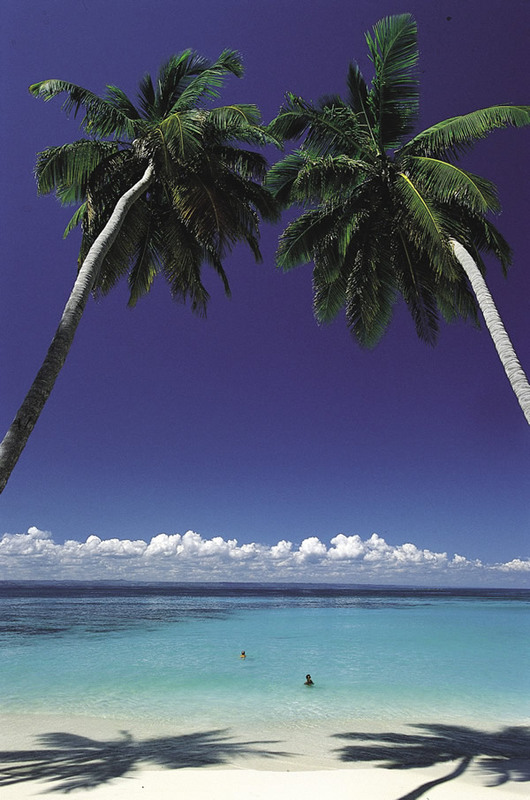 Beachside in the Dominican Republic. Odd that the Dominican Republic’s second-largest city is so untouristed. Admittedly, it lacks beachfront, yet Santiago de los Caballeros is not just a center of commerce, but also a city of good restaurants and museums; tobacco and rum factory tours; and a dance you may have heard of, one that was born in this town: the merengue. Villa Celeste Estate, about a 25-mile ride from the airport, is a new, 8-unit boutique property whose rooms feature custom-made linens and whose chef, Rosa de la Loma, is committed to farm-to-table cuisine. She more than accommodates vegetarians, too. Santiago de los Caballeros is really an urban rather than rural or beach destination, so nature is not its forte. However, Villa Celeste Estate, offers excellent nature walks and other eco-adventure activities in the forested mountains above the city. The Eduardo Leon Jimenes Cultural Centre explores the Dominican Republic’s pre-Columbian and colonial history through a valuable collection of objects as well as dance, the applied and fine arts, and virtually every other aspect of Dominican culture. Each February, Santiago participates in the best festival on earth for bona fide and novice cigar connoisseurs. The events include farm and factory visits, gala dinners, and premium cigar smokings; “tastings” just doesn’t seem like the right word for these senses-expanding evenings. 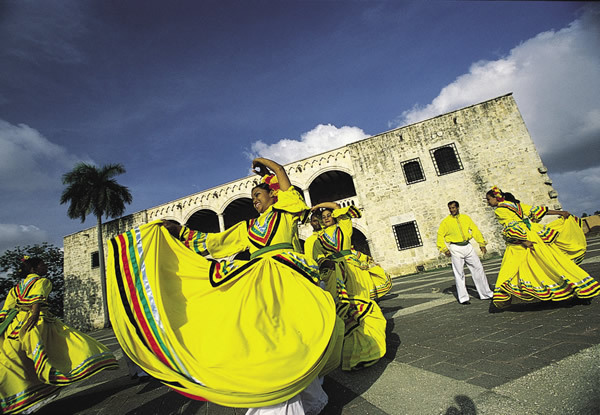 Colorful folk dancing in the Dominican Republic. Between the extensive restorations in Santo Domingo’s 500-year-old Zona Colonial, the progress on the new highways connecting the capital and other key parts of the country, and all the clubs, stores and other businesses, hotels, and restaurants that are opening in these boom times for the Dominican Republic, this is one of the most exciting and cosmopolitan cities in the Caribbean. Scheduled to open in February, the smoke-free Sheraton Santo Domingo Hotel has a prime location near the Zona Colonial, an outdoor pool, enough electronics in its 245 rooms and suites to sate your inner 16-year-old, complimentary parking, a state-of-the-art fitness program and more. No matter that the signs at Santo Domingo’s Acuario Nacional (National Aquarium) are in Spanish only, this modern facility offers a great look at our underwater world. With its open-air exhibits and tube tunnels for walking “through” tanks, the aquarium displays sharks, rays, giant turtles, electric-hued reef fish, and curiously endearing manatees. Diego Columbus laid the first stone of the Catedral Primada de America in 1514, making it the oldest continually operating cathedral in the New World. Like many Old World cathedrals, it has features that are romanesque (again, this building is old), gothic, and also baroque, making it a jaw-dropping lesson in architecture as well as history and religious art. Santo Domingo is a large city of three million, but you can still play golf nearby, thanks to Las Lagunas Campo Nacional de Golf, designed by Pete Dye. This is a beautiful layout, one that doubles as a scenic primer on the Dominican Republic’s north coast landscape. That would be the Museo de Arte Moderno, not because locals don’t know about it, but because visitors are (understandably) so mesmerized by historic Santo Domingo that they don’t realize what a vibrant contemporary art scene there is as well. MUST-TRY NATIVE FOOD: Roast chicken—so different from Ohio/Manitoba version that it’s like a new meat. The Spice Island, aka Grenada, and even more tranquil Carriacou and Petite Martinique feature forests, fish-filled reefs, farmlands, and aromas of nutmeg, cinnamon, cacao, and other tropical fruits. Small resorts dot Grenada’s 45 beaches, while the interior offers lush hills and plantations where visitors can explore a Caribbean that predates the touristic era. The award-winning, all-suite Spice Island Beach Resort delivers both megaresort amenities and boutique resort service—in an all-inclusive, no less. Its suites feature earth (actually, spice) tones, balconies/patios, spiffy electronics, and whirlpool baths, etc., while its tennis, cycling, fitness, and watersports gear are excellent. Ditto, the cuisine and the new Janissa’s Spa. Although the artwork at the Grenada Underwater Sculpture Gallery are, by definition, man-made, they have sprouted coral that has attracted schools of tropical fish. And that has attracted divers. What’s more, the depth is shallow enough for snorkelers, too. Every Friday evening Gouyave, a fishing village 45 minutes north of St. George’s, throws a party featuring grilled fish and seafood, impromptu bars and music. This is not just a great party, but a chance to eat, drink, listen, and (maybe) dance like a local. The Bianca C, one of the best dives in the Caribbean, was a 600-ft. cruise ship that went down more than 50 years ago, so giant turtles, technicolor fish, and barracuda have claimed it as their own. Unlike the sculpture garden, this dive site is 100 ft. deep, reason enough to get certified for diving. Although many travelers visit the lower Concord Waterfall, few have seen the upper falls. They’re well-worth the 40-minute hike, which leads to dramatic cascades, lush vegetation, and pools where hikers reward themselves with a dip. Acknowledging that it missed out on the Caribbean tourism boom for decades, Haiti, sharing the island of Hispaniola with the Dominican Republic, recently shifted into overdrive this year to make up for lost time. The government has invested millions in renovating the airport at Port-au-Prince, and it’s spending another $40 million to restore historic Jacmel, where new shops and galleries have opened in mansions that once influenced the architecture of New Orleans. The beaches? The historic Citadelle and San Souci? They’re pretty perfect just as is. Royal Oasis by Occidental Hotel opened one year ago in Petion-ville, the commercial heart of Haiti, which lies 30 miles from the Port-au-Prince airport. Its modern guestrooms feature tan and aqua hues, and the hotel has five bars and lounges, shops, bank services, an infinity pool, massage therapists and up-to-date conference and events facilities. Why are the three Bassin Bleu pools so, uh, blue? Minerals in the waterfalls that fill them. Visit on a weekday, when these three jewels are less touristed and (it is said) when the forest nymphs might make an appearance. Haitian art is collected worldwide, and Galerie Monnin in Petion-ville offers stunning exhibitions of traditional and, especially, contemporary artists. Is it a gallery or a museum? Both. A new outfitter on the north coast, Haiti Sport Fishing offers fishing charters for mahimahi and other game fish as well as snorkeling trips in a new 26-ft. boat. L’Observatoire, atop 3,000-ft.-high Mount Boutiliers, is a bar and white-linen restaurant serving mostly Haitian dishes, cocktails, and fabulous views of Port-au-Prince, Haiti’s verdant countryside, and the Prussian blue sea. Big cities often take on an international air, but Kingston remains determinedly Jamaican. For proof, look no further than the dreads on some of the locals, museums like the National Gallery, William Grant Park (named after a follower of Marcus Garvey), the music scene, and the street food vendors serving sublime beef patties. One exception to Kingston’s local vibe is the Terra Nova All-Suite Hotel, a cosmopolitan refuge in the business district. Although small, Terra Nova has a well-equipped fitness center and spa, an outdoor pool, comprehensive business facilities, restaurants, a clubby bar, a casino, and better security than that enjoyed by some heads of state. The nearby Blue Mountains feature waterfalls, forests, flowers, hummingbirds, butterflies, and the best coffee on earth. The Bob Marley Museum? Of course. But the Institute of Jamaica, which is this country’s Smithsonian, is also worth a trip. It’s home to the National Library and its collection of vintage maps and paintings, a Museum of Music connecting reggae to other styles of music, and good exhibitions on history and culture. Blue Mountain Bicycle Tours’ 9- to 18-mile day trips include lunch and are mostly downhill, with stops for taking photos of the magnificent vistas. Devon House National Heritage Site is a grand 19th-century, plantation-style house with a twist: It was built by a black Jamaican. The grounds feature classic landscaping with palm trees and shrubs, while indoors are fine Jamaican, English and French antiques. Jamaica’s most important tourism center offers villas, traditional, and all-inclusive hotels for every taste, plus shopping, restaurants and nightlife. To the northeast Montego Bay (or MoBay) segues into Rose Hall, with its historic homes, haute luxe resorts, and championship golf courses. Round Hill Hotel & Villas’ superb service and villas with owners like Ralph Lauren have attracted more statesmen and celebs than the White House and the Grammies combined. Some villas were just added and/or renovated, the farm-to-table organic garden was expanded, and Lauren’s decor in the piano room—well, no need to “improve” that. The Kids’ Club, spa, tennis and watersports programs, and the concierge’s inside track at the Tryall Golf Club bespeak excellence. Montego Bay is covered by resorts, streets, and stores, so drive (90 minutes) up-country to Mayfield Falls, with its two cascades, 21 natural pools, ferns, bromeliads, birds and butterflies. Just two miles from MoBay, the Rastafari Indigenous Village offers full-day tours that introduce visitors to Rastafarian culture, including Rastafarian beliefs, medicinal herbs, farming, crafts and family life. Reserve ahead. Golf, tennis, and the beach are MoBay’s mainstays, but now visitors can also test their reflexes at nearby Paintball Jamaica. Contests include capture the flag, last man standing, last team standing, and (paintless) laser tag. St. James Parish Church, built in the 1700s, damaged in 1957, and then restored, is the finest church in Jamaica. If the imposing, cross-shaped gray edifice isn’t open, a call to the office might result in someone unlocking the door. Back outside, the gravestones’ inscriptions bespeak large families with short lifespans. First-timers are often surprised by how cosmopolitan San Juan is. Need an Apple store or a necktie for a meeting? Got it. San Juan also has exceptional museums and historic sites. Many resorts are close enough so guests can alternate beach days with sightseeing. Puerto Rico is convenient for weddings and meetings, too, because attendees from the U.S. don’t need passports. The St. Regis Bahia Beach Resort, east of San Juan, offers capacious rooms dignified with tan hues and dark wood. The head chef is Jean-Georges Vongerichten, and the environmental education, watersports, spa, and fitness facility are tops. The Iguana Children’s Club delights little ones, and duffers can plan a Troon Golf-managed Robert Trent Jr. course. El Yunque is unforgettable, but so is Piñones, a string of undeveloped beaches east of San Juan, some with calm waters and others with dramatic surf. Piñones has fish- and bird-filled mangrove wetlands, too, where visitors can rent kayaks. Bonus: Here you’ll find the best street food in Puerto Rico. Near Old San Juan’s El Moro is Casa Blanca Museum, one of the oldest colonial homes in the New World. Ponce de Leon’s family built the house in 1523 and lived there for 250 years. The museum illuminates colonial life with historic furniture, art, maps, weapons, and kitchen implements. Velauno, right in San Juan’s Condado Lagoon, is one of the best operators in the Caribbean for stand-up paddleboarding. The lagoon’s water is calm, the shores teem with big iguanas, and walrus-whiskered manatees bob up to eyeball bipeds on boards. The Condado’s affluent hipsters know about Roberto Trevino’s Bar Gitano, and visitors should, too. This resto-bar, with its brick walls, outdoor seating, and friendly bartenders, specializes in traditional and updated tapas, such as the slightly spicy Japanese shishito peppers. Saint Lucia’s underwater marine life. Two things unite the resorts in the more built-up northern half of Saint Lucia and the mountainous, forested southern half: First, an appreciation of nature, both on land (e.g. those famous Pitons) and in the sea, and therefore an enthusiasm for ecotourist activities like hiking, birding, diving and snorkeling. The other common thread is romance. Although there are some really good family resorts here, Saint Lucia really is weddings-honeymoons central: one big, green, gorgeous aphrodisiac. Tough call, but Jade Mountain certainly rocks because of its huge Sanctuaries (suites) with jacuzzis or infinity pools and one wall open to the breezes and the Pitons, a superb mountaintop restaurant, spa, yoga classes, and, down on the beach, watersports and a good bar/grill. Less well known than the hike up Gros Piton, the Tet Paul Nature Trail takes only one hour, is doable by families (as well as mountain goats), and offers postcard views of the mountains and sea. For guided tours contact Real St. Lucia Tours. Every Friday Gros Ilet in the north and Anse la Rey in the south host a fish fry: a street party with fresh fish and seafood, impromptu bars that never run low, music that grows better and louder every half hour, and dancing. Even better, these events give everyone a chance to mingle without class distinctions. One of the best activity-centered resorts on earth, the all-inclusive BodyHoliday, LeSport offers gear and instruction for sailing, snorkeling, scuba diving, windsurfing, kayaking, golf, tennis, tai chi, Pilates, yoga, hiking, mountain biking, rappeling, and even archery. At this camp for grown-ups, there are rooms for singles, too—unusual for a resort. Visitors can camp out a night with giant leatherbacks via the Debarras Turtle Watch. Years ago some people viewed St. Kitts as merely the gateway to sister island Nevis, but more recently, St. Kitts has rediscovered its countryside, history, beaches, and underwater wonders. Centuries-old buildings have been restored, hotels updated, and new projects undertaken, including Christophe Harbour, which will feature villas, a marina, a Tom Fazio golf course, and a Park Hyatt resort. Last year, the St. Kitts Marriott Resort & Royal Beach Casino added a new beach bar and redid its lobby; now it has renovated its 393 guestrooms and suites. This resort is for people who want it all: an expansive beach, championship golf, a variety of restaurants, spa treatments, a casino, and wheelchair accessibility. Hikers can explore verdant rainforests and a dormant volcano crater, from which Nevis and even St. Barts are visible, from nearly 4,000-ft.-high Mount Liamuiga. The Gibraltar of the West Indies, Brimstone Hill Fortress, is a UNESCO World Heritage site atop an 800-ft. bluff. One of the largest forts in the Caribbean, Brimstone Hill offers a good introductory video, vistas, cannons, and insights into how soldiers and the slaves, who had to build all this, lived. As if these waters weren’t rich enough in marine life, the Department of Tourism has added artificial reefs that look like free apartments to fish. Tuna, wahoo, dorado, kingfish, barracuda, shark, snapper, and mahi mahi are out there, and they’re hungry for hooks. If there are fish for catching, there are fish for looking, yet the fine diving here gets little attention. Good! St. Kitts’ 25+ dive sites offer reefs, walls, caves, and wrecks such as the 1740s English troopship in White House Bay. The smallest body of land on earth divided between two countries (The Netherlands and France), St. Maarten/Martin packs a lot of variety into one island. If there’s anything a shopper cannot find in Philipsburg, that shopper just isn’t looking. In recent years the Dutch side’s restaurants have reinvented themselves to compete with the eateries on the French side, while Philipsburg’s clubs continue to rock. Hard. The Westin St. Maarten Dawn Beach Resort & Spa has a splendid pool and beach, fitness and spa facilities, four restaurants, a casino, a kids’ club and enough space in the guestrooms for all the loot acquired while shopping. Guests can recover from their spending sprees in a Westin Heavenly Bed. The cliffs and beaches of Saint Martin National Nature Reserve shelter frigate birds, pelicans, herons, iguanas and mongooses. Sea turtles nest there, and just offshore, dolphins and humpback whales are returning between January and April. Calypso, reggae, salsa, soca, R&B, funk—they all enhance this island’s music. Visitors should scan local papers and/or ask their concierge about a chance to hear the following bands: One White Chic, House Appliances, Church on Monday, Next Level, Latin Sugar, and Mosaic. If you gamble, people call you a sport, so this is the place to acknowledge St. Maarten’s baker’s dozen casinos. The largest of them all, Casino Royale, boasts 400 slots, 20 gaming tables, and people playing every imaginable card game except (maybe) Old Maid. Although Tahoma Beach sits next to popular Maho Beach and the Sonesta’s Sunset Bar & Grill, this lovely stretch of sand with gentle surf is surprisingly undervisited. It’s the perfect beach for zoning out after a go-go night at St. Maarten’s lounges, pubs, and clubs. To begin, the diving and snorkeling at Providenciales (aka Provo) are top-drawer, as are the whale-watching, fishing, nature walks, kayaking, and Olympic-level celebrity-spotting. This former salt-mine island—it was too dry for a plantation economy—in the Turks and Caicos has exquisite beaches, especially Seven Mile Beach, dotted with resorts. Most of these resorts were built within the past 20 years, and most are high-end. Dizzyingly high. They’re all swell, but Amanyara doesn’t just make “Caribbean Top Ten” lists, it often tops them. Amanyara’s romantic, Balinese-style accommodations are unlike anything else in the region, and the cuisine, spa, and service also reflect Asian influences. Adjoining Northwest Point Marine National Park, Amanyara offers extraordinary diving, snorkeling and whale-watching. About that whale-watching: Atlantic humpback whales cruise near Provo between January and April on their 25,000-mile journey between the North Atlantic and their breeding grounds, and they’re big enough to see from shore. The Fish Fry on Thursdays features jerk chicken and conch fritters, crackerjack bands, and formidable rum punches. The crowd includes both Provo residents and visitors, and even Hollywood stars and locals mix well here. Most Provo resorts have substantial watersports programs, but if there’s anything missing, Big Blue Unlimited fills the gap. Big Blue offers rentals, instruction, and tours for kayakers, snorkelers, divers, kite boarders, and stand-up paddleboarders, not to mention bicyclists and birders. Sundays at Ricky’s Flamingo Cafe, on the beach by the Cultural Market Place, feature home cooking so good that Ricky often breaks out into song. He might even let you help out in the kitchen, where you’ll try to learn another best kept secret: Ricky’s cracked conch recipe. 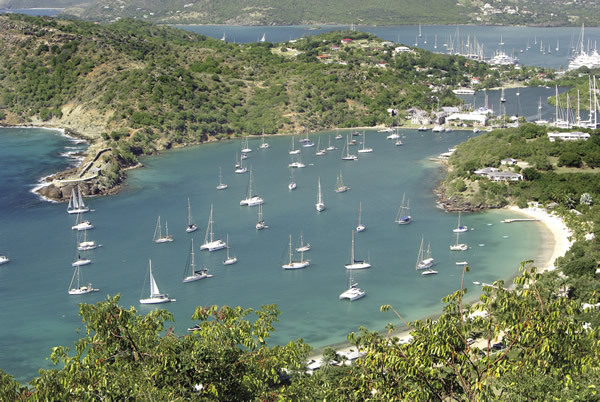 Between Charlotte Amalie—one of the best shopping cities in and beyond the Caribbean—St. Thomas’ fine resorts, and its access to unspoiled St. John and historic St. Croix, this island has it all. Throw in the fact that U.S. citizens needn’t have passports and that the duty-free exemption for them is $1,600, and it’s no wonder St. Thomas is so popular. 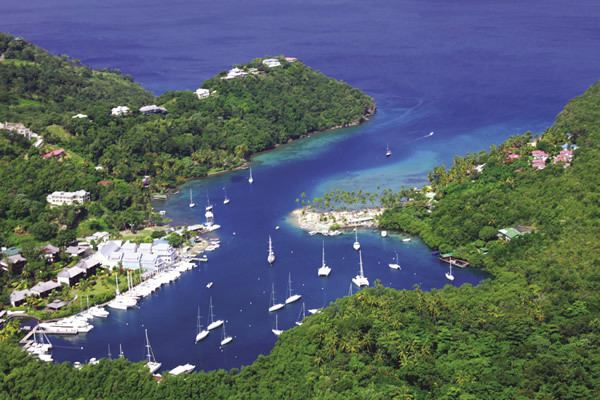 The big hotel news in the USVI is the relaunch of Caneel Bay on St. John (a 15-minute ferry ride from St. Thomas) as an independent boutique resort. Unchanged are its seven(!) beaches, eco-friendly operation, and exceptional children’s and tennis—10 courts—programs, but other things, like the restaurants, have leaped decades. St. John? Of course. But also St. Thomas’s Coral World Ocean Park, which offers snorkeling, cruises on a glass-hulled Nautilus, an observation tower for gull’s-eye views of fish navigating Coki Point Reef, and sea lion encounters. The sea lions aren’t endemic, but they are irresistible. Denmark, not Spain or Great Britain, built Fort Christian in 1671. Today, as a U.S. National Park Service museum, it illuminates the island’s hot-potato history and its culture, past and present. Terrific gift shop, too. The Cow and Calf Rocks near the eastern tip of St. Thomas treat divers to coral formations and caves swarming with Day-glo fish. Among the excellent dive operations on St. Thomas is the St. Thomas Diving Club at Bolongo Bay, which offers PADI certification and snorkeling trips as well as guided dives. The Lovongo and Congo Cays lie a few miles (and a world away) from Charlotte Amalie. They’re unpopulated, so the snorkeling is five-star. Visitors can explore them with Take It Easy Custom Charters.